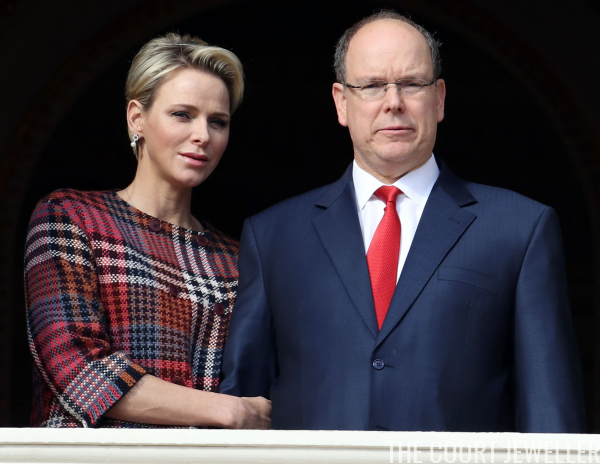 The princely family of Monaco celebrated the annual festival of their patron saint, Sainte Devote, this weekend. 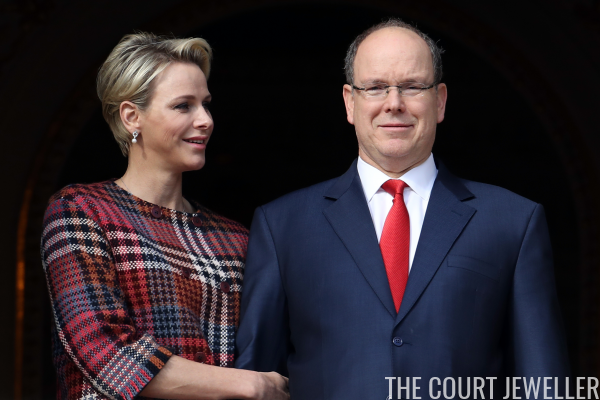 Here's a look at the modest jewels worn during the commemorations. 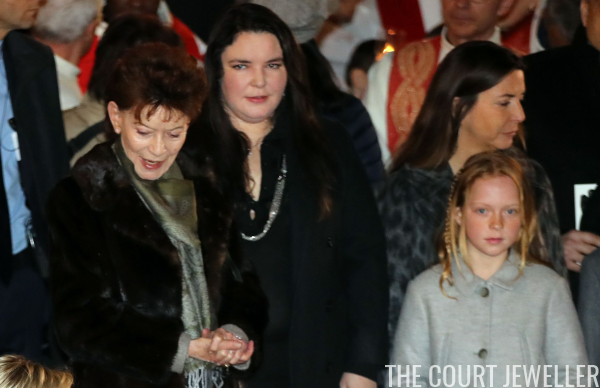 The festivities began on Friday evening, with the traditional Sainte Devote procession. The story goes that in 1070, a man tried to steal the saint's relics from their resting place in Monaco; he was caught, and his boat was burned on the beach. 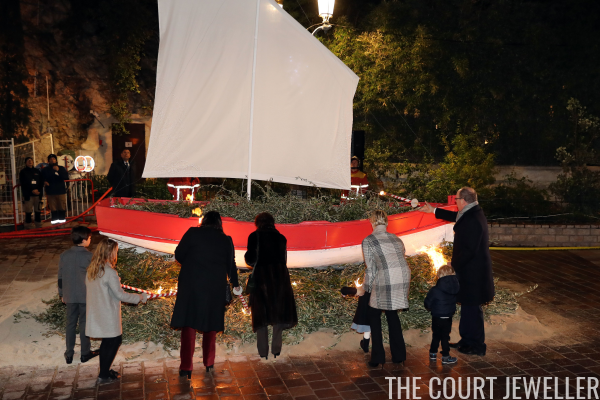 To commemorate this, a fishing boat is symbolically burned every year outside the saint's chapel in Monaco. 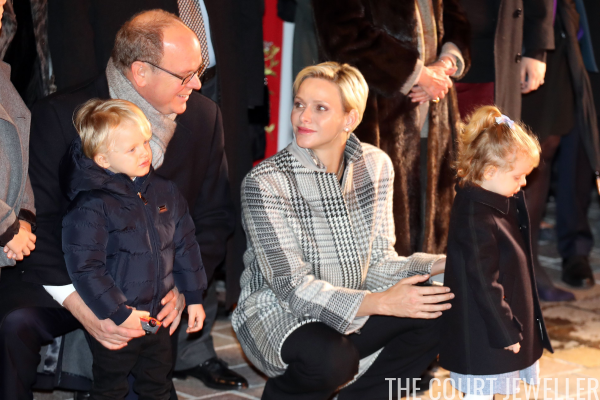 Prince Albert, Princess Charlene, Prince Jacques, and Princess Gabriella took part in the lighting of the fire this year. How cute are the littlest Grimaldis? 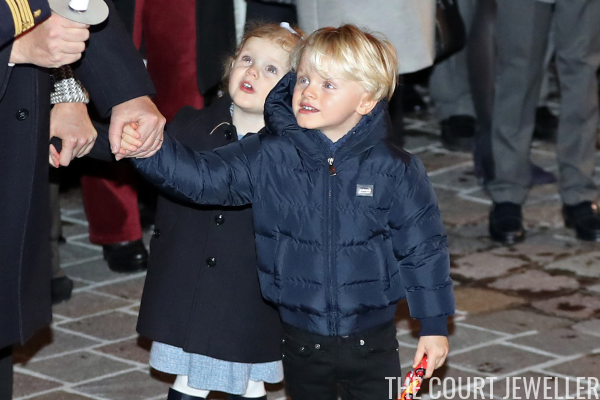 The twins recently celebrated their third birthdays. 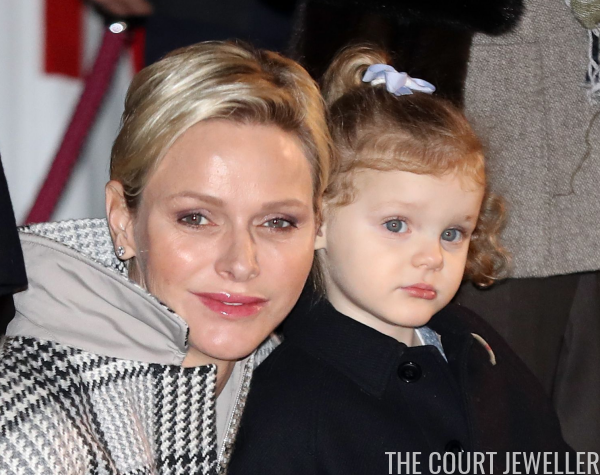 Princess Charlene kept her jewelry very minimal -- but quite sparkly -- for the evening procession, wearing a pair of diamond stud earrings. 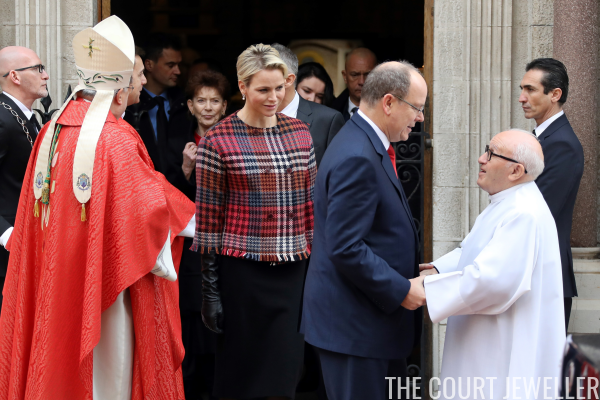 On Saturday, Albert and Charlene attended the annual mass at Monaco's cathedral in honor of Sainte Devote. Afterward, the couple made an appearance on the balcony at the Prince's Palace. Charlene wore a pair of diamond and pearl drop earrings, plus a necklace (most of which was hidden under her jacket). Here's a look at Charlene's entire ensemble for the Sainte Devote mass.